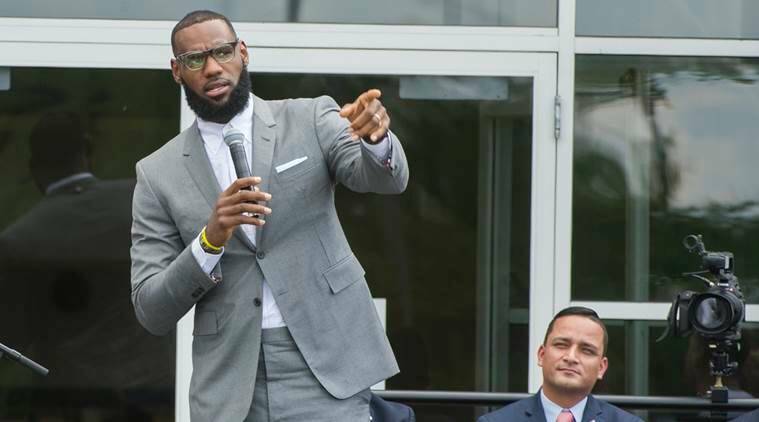 LeBron James opened a school in his hometown Akron in the Ohio, USA. The school, named I Promise, takes an experimental approach to education. Basketball star LeBron James started a school in his hometown of Akron in Ohio, USA. “This is kind of like a dream come true for me,” James said in a video that was put up on the Twitter handle of his multimedia platform Uninterrupted. The school, named I Promise, has an experimental approach to education. One of the standout features is that James created a program for parents of students who are suffering from social problems, a common feature in the area. The school year at I Promise would be longer than usual and over 40 staff members will attempt to accelerate the development of children who might be found lagging. Services for parents who are struggling to make ends meet include assistance, job-placement and an on-site food bank that will allow them to pick up food they can prepare at home. There would also be services available to help students deal with stress that may come from problems outside the school. There would also be activities that would help kill off idle time and prevent students from getting into trouble. Every student will also receive a bicycle when they arrive. The @LJFamFoundation‘s I Promise School opens in Akron Monday. It will be the new Akron Public Schools’ home to 240 at-risk 3rd & 4th graders. Take a sneak peak inside! 33-year-old James ended his four-year-long second stint with Cleveland Cavaliers to briefly become a free agent at the end of the 2017/18 season. He eventually joined the LA Lakers.